Winners for the contest will be selected amongst those who enter in August. 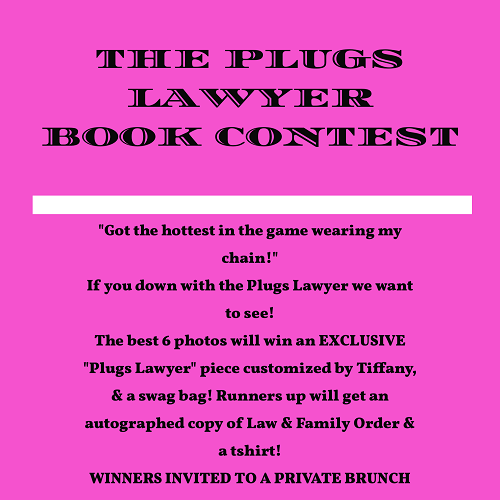 Win an exclusive Plugs Lawyer piece!!!!! #icedout #icey RULES: purchase the book. Post your book with hashtags. Must follow Simmons Law. 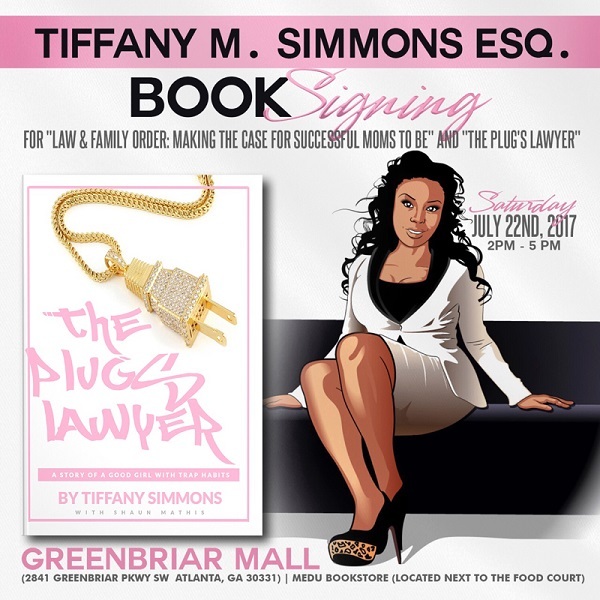 “GOT THE HOTTEST IN THE GAME WEARING MY CHAIN!” THE BEST 6 PHOTOS WILL WIN AN EXCLUSIVE “PLUGS LAWYER” PIECE CUSTOMIZED BY TIFFANY, & A SWAG BAG! 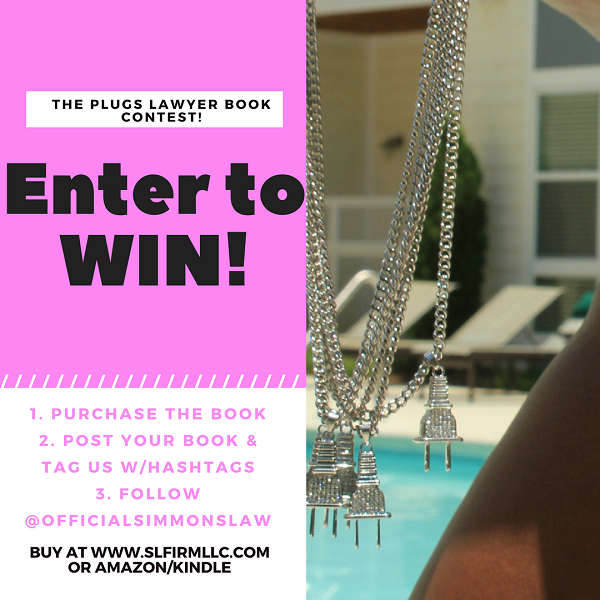 RUNNERS UP WILL GET AN AUTOGRAPHED COPY OF LAW & FAMILY ORDER & A T-SHIRT! WINNERS INVITED TO A PRIVATE BRUNCH WITH TIFFANY IN AUGUST 2017! 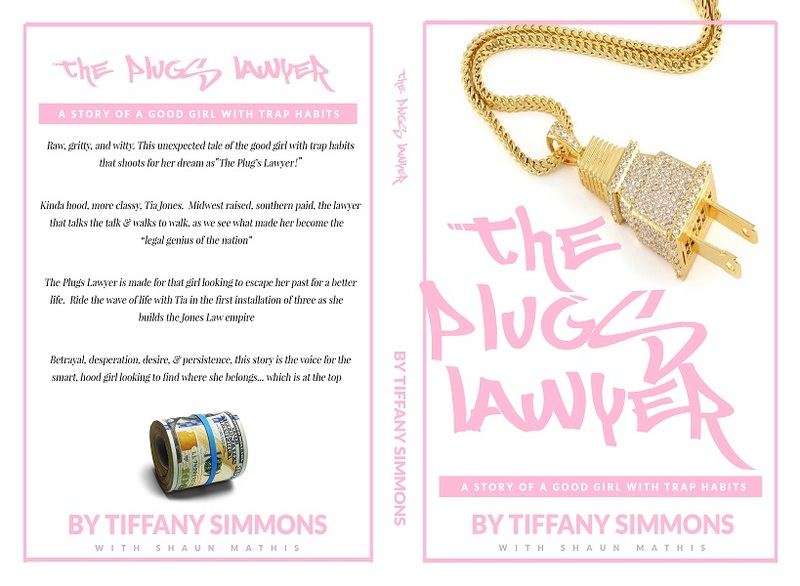 The Plugs Lawyer is made for that girl looking to escape her past for a better life. Ride the wave of life with Tia in the first installation of three as she builds the Jones Law empire. Betrayal, desperation, desire, & persistence, this story is the voice for the smart, hood girl looking to find where she belongs… which is at the top.